Staffed with a Registered Nutritionist and a Certified Nutritionist, our team of experts is here to help you with all your nutrition needs. Whether you’re new to the world of health & wellness and you’re looking to navigate the world of food, or you’re an expert on the topic and you want to bounce some ideas off of us - we work with all levels of understanding and help you achieve your nutritional goals. Does the wealth of information surrounding nutrition overwhelm you? Left you feeling confused about healthy choices? You're not alone. 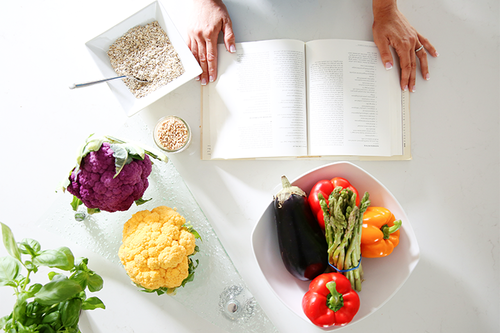 Work with an experienced certified nutritionist to guide you through and ensure you are on the right track! Sometimes it can be easier to conquer your goals with a partner. This package creates a custom plan that will work best within your health goals to create a healthier home. Do you need help planning out your meals? Our meal planning appointments are a wonderful way to diversify or create mindfulness with your eating. These custom meal plans are built to suit your individual or family needs. We start where your at and evolve the meal plans over time to meet your goals. Many people suffer from food intolerance without knowing. The IgG Food Intolerance Test shows adverse reactions to foods that are causing health problems. Your results will show 200+ foods and how your body reacts to them individually. This service is offered in 4 package types for your connivence. Lets transform your health, together. If you are looking to lose weight and keep it off, joining my Heathy Transformation Weight Loss Program will change your life. Why? As an accountability coach that is certified in nutrition, pilates, and mindfulness I use a mind-body approach to weight loss. I create programs that are based on meeting you where you’re at right now to achieve your goals and create results. Accountability coaching is a specific way for a person to reach their personal health and wellness goals while having a guided built-in support system available to them all day, every day. An accountability coach is there to hold you to your choices and actions and encourage you to continue down a path to your best self. Lets work one-on-one, me & you to achieve RESULTS. Surpass your goals and show you that you are able to lose the weight and make a life change for the better! “Plant-Based 101” is an all-in-one plant-based for beginners learning program. This program includes a 30-day food guide, a 30-day supply of supplements, a supplement guide & two 30 minute nutrition consultations with Jehna. Take the “worry” out of what you’re eating. With this 30-day Plant-Based Food Guide, you’ll have 3 meals a day planned out for you. This guide was formulated to help you learn the in’s and out’s of plant-based eating. It can be used whether you’re cooking for one, or a family sized group, the guide is easily tailored for your day-to-day situations. 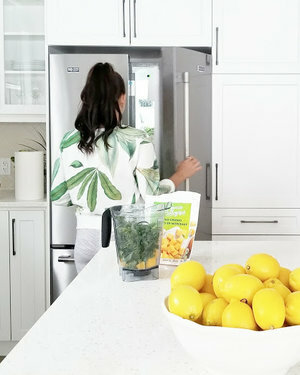 Included in the guide is a snack guide, check-in points to reconnect with your body & how-to’s for vegan cooking basics. Within this package, you receive two 30 minute over-the-phone Nutrition Consultation’s with Jehna. Once purchasing the package, Jehna will contact you to schedule your first 30 minute consultation where you’ll go over your current eating habits, health-status and goals. Jehna is available via email throughout the program, and will contact you within your last week of the program to ensure you have the support and you’ll need to move forward in your healthy journey. This assessment helps to pinpoint deficiencies or concerns often before they can be detected via lab tests so clients can take proactive steps to improve their overall wellness through nutrition and lifestyle changes. Women aged 40+ who want to feel marvellous and not ‘meh’. You may be struggling with weight, fatigue, insomnia, confusion about what diet is best for you or simply feeling you are not your very best self anymore. Weight loss, improved sleep, culinary ease and stress-reduction techniques are just some of the benefits of the BBM©. It doesn’t have to be January or a Monday to start a detox. Fun fact: did you know that your body naturally detoxifies itself 24/7? Did you also know that toxins from the air, on our food, in the products that we use daily contain chemicals that block your 7 channels of detoxification so it becomes harder for your body to do so? Scary right? What are the symptoms of blocked detox channels? Headaches, frequent illness, build-up of ear wax, trouble responding to stress, difficulty making decisions, bumps on the skin, dark circles around the eyes, achey-sore muscles or bones & so much more. How can we help our bodies to natural detox? It’s a great idea to do a maintenance detox 1-2 times a year to aid your bodies natural ability to detoxify itself. It’s important to do a detox that hits all the marks: 7 channels of detoxification, scrubbing fat cells, boosting metabolism, moving heavy metals & properly clearing it all out safely through the liver. Jehna uses the Metagenics Clear Change 10-Day Detox. With every purchase of the 10-day program, you get a FREE 45-minute consultation with Jehna to go over the products received, your goals and how to properly use the program.